Although now based in the UK, Gawain spent several years living in Basel where he studied with Bruce Dickey at the Schola Cantorum Basiliensis. As a result of these years abroad, Gawain is closely involved with many 'next generation' ensembles, such as Ensemble Leones, and also the Basel-based I Fedeli. In the UK, Gawain also works with ensembles such as The City Musick and I Fagiolini. Gawain's research and expertise in the field of ornamenting early music has also led to him becoming increasingly in demand as a coach for both singers and instrumentalists. His experience as a professional singer and player of reed instruments and recorders also helps to make Gawain a highly versatile musician.Very much at home in the rich musical world of the 16th and 17th centuries, Gawain also enjoys expanding the repertoire of the cornetto, either by performing new and challenging contemporary music, or by working with other musicians from the rock, pop and folk worlds. Gawain has recently enrolled at Southampton University to begin a doctoral study of Italian diminution treatises. This three-year project is funded by the AHRC as part of the South West & Wales Doctoral Training Partnership. JanJoost van Elburg has directed Blackdowns Early Music Project weekends since its inception in 2004 and as Principal Director has led one or more events every year since. He completed his studies in choral conducting at the Conservatory of Rotterdam in 1991 having worked with Barend Schuurman. Besides that he studied singing with Jelle Drayer (of the Dutch Chamber Choir), Margaret Honig and with Ghislaine Morgan in England. In England, JanJoost has enjoyed highly successful tenures directing The Renaissance Singers (London), and The Reading Bach Choir. JanJoost frequently works with other UK groups as a guest conductor and vocal coach including the Nonsuch Singers, London. 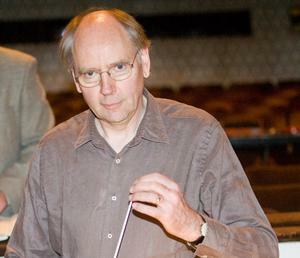 He has directed the Oxtord based Bartholomew Consort since 2001. He is much sought after as a vocal coach both in the UK and the Netherlands, as a teacher of ensemble technique and training, singing, theory and choral conducting. These engagements are increasingly taking him further afield to work in the USA, China and South America. In his home base in Amsterdam he is director of the prestigious Westerkerkoor and its resident baroque orchestra Ensemble 't Kabinet. He has directed his own choir highly acclaimed choir, Lelikoor, in Amsterdam for over 30 years. As a singer he has performed with a wide variety of ensembles, including the Tallis Scholars, the Dutch Broadcast Choir, Capella Pratensis, Capella Coloniënsis in Cologne, and his own ensembles on several European tours. He is regularly to be found at the Dutch Royal Conservatoire for Music in The Hague as a guest conductor and coach. He works with aspiring professional singers for their international projects, and with the renowned specialists associated with the Conservatoire. These include Ton Koopman with whom he prepared the Bach Mass in B min for a 2017/18 tour to the USA with the Juilliard School of New York. Robert Hollingworth received his earliest musical education from his mother and as a chorister at Hereford Cathedral. He also studied violin and keyboard, going on to read music at New College, Oxford University, recording and touring extensively with the choir, receiving much encouragement from Edward Higginbottom and John Milsom. He founded I Fagiolini there in 1986. He then spent a year at the Guildhall School of Music and Drama, finding continuo studies with David Roblou particularly illuminating. 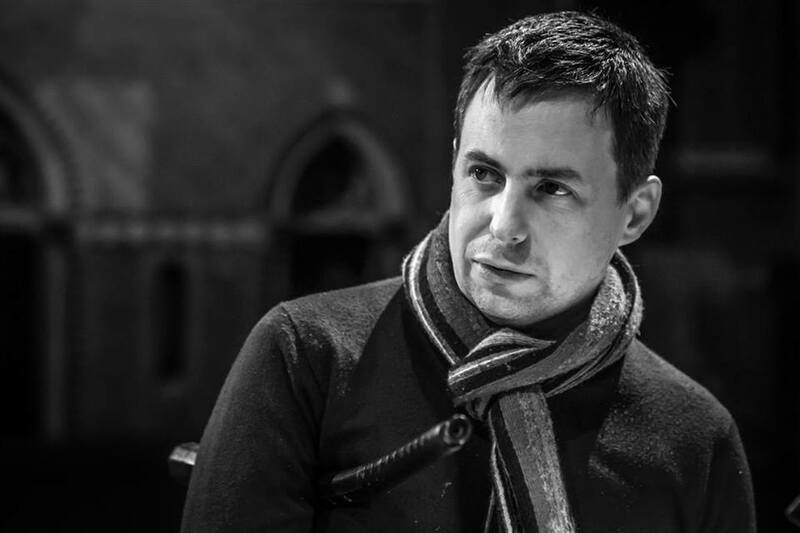 Directing I Fagiolini has taken up most of his time since but he has directed other ensembles at home and abroad, most recently the BBC Singers, Nederlands Kamerkoor, NDR Chor, The Academy of Ancient Music, St James Baroque and the BBC Concert Orchestra. In 2004 Robert directed the Nederlands Kamerkoor in a ground-breaking new music-theatre project (Faust) acclaimed by the Dutch press and set in startling venues such as a Amsterdam vast ship-building yard, a disused station and Bremen Cathedral. Robert directed Opera Zuid’s underground production of Monteverdi’s L’Orfeo with Rufus Müller in the title role. He founded the spectacular if short-lived Islington Winter Music Festival, writes and presents programmes for BBC Radio including Discovering Musicand The Early Music Show and has worked on a number of films includingQuills where he tried and failed to make Joaquim Phoenix look like a real conductor. He was appointed an artistic advisor to the York Early Music Festival (2006-10) and in 2009 to the Trigonale Festival, Austria. He claims Monteverdi and Monty Python as equal influences on his life and work. Conductor Andrew Parrott is perhaps best known for over 50 pioneering recordings (principally for EMI) of pre- classical repertory from Machaut to Handel with the London-based Taverner Consort, Choir and Players, which he founded in 1973. Parrott’s musical range is broad, and he works extensively with both period- and modern-instrument orchestras as well as opera companies, covering a huge range of repertoire. 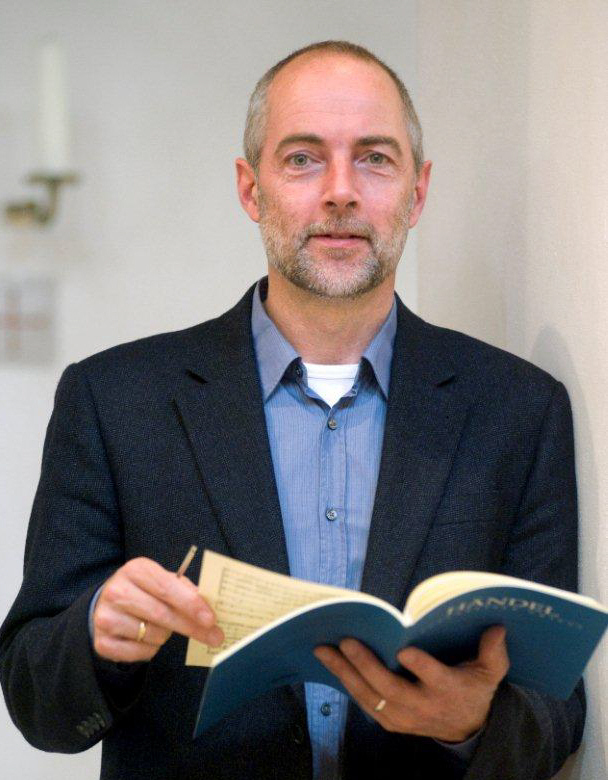 Besides co-editing the 700-page New Oxford Book of Carols (1992), he has published several major articLes on Monteverdi, Purcelland Bach and a book, The Essential Bach Choir (2000; German translation 2003). A further long-awaited book entitled "Composers’ Intentions?" is due on bookshelves in Spring 2015. In 2002 Andrew Parrott was appointed Musical Director of the period- instrument New York Collegium, with whom he presented ground-breaking programmes of baroque music from Giovanni Gabrieli to Rameau. He has also held the post of Music Director and Principal Conductor of the London Mozart Players, where he explored the classical repertoire in particular. Programmes frequently featured dramatic music with narration by distinguished actors, which led to the commissioning of Jonathan Dove’s The Crocodiamond, a children’s work for orchestra and narrator, premiered with actor Simon Callow. 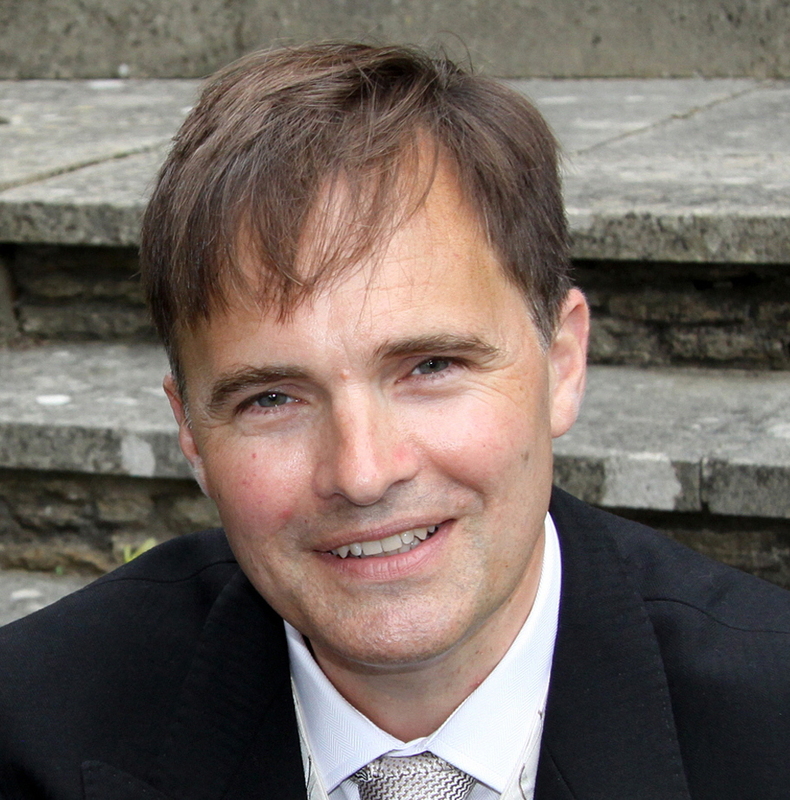 Contemporary music has always played an important part in Andrew Parrott’s musical life and for several years he was an assistant to Sir Michael Tippett. He conducted the world premiere of Judith Weir’s A Night at the Chinese Opera (which he later recorded with the Scottish Chamber Orchestra) and has made CDs of new music by other British composers (including John Tavener), by Vladimir Godar (with the Slovak Philharmonic Orchestra) and by Arvo Part. He also conducted a Taverner Choir recording of Requiem: Songs in Memory and Beslan by the British composer Nick Bicats. For Toronto’s Opera Atelier he has conducted productions of Lully’s Armide, Gluck’s Jphigenie en Tauride and Orphee, and Mozart’s Marriage of Figaro, Magic Flute and Don Giovanni, all with the period-instrument orchestra TafeLmusik. Recently, he made his debut at the Gottingen International Handel Festival, conducting Amadigi. Mozart also figures prominently in Parrott’s guest conducting, which has included a series of anniversary concerts with the Helsingborg Symphony Orchestra. Elsewhere in Sweden he has recorded the compLete Beethoven Piano Concertos with the Dutch pianist Ronald Brautigam, released on BIS. Recently, he has conducted the Capella Cracoviensis in Krakow, the MDR Sinfonieorchester and the Casa da Musica in Porto as well as performing Monteverdi’s 1610 Vespers in Bavaria with his Taverner forces, comprising musicians drawn from nine countries and including some members of The New York Collegium. Recently, Andrew conducted the Slovak Philharmonic once more in a programme that included Godar’s Querela pacis as well as a concert of Bach’s Cantatas in Krakow. Andrew received the York Early Music Festival Lifetime Achievement award in 2014. Peter Leech is a musician with over 20 years experience as a choral and orchestral conductor, his repertoire ranging from medieval to contemporary, with a specialist interest in music of the late Renaissance and early Baroque periods. An international award-winning conductor (First Prize at the Mariele Ventre International Choral Conducting Competition, Bologna, 2003), he has directed a variety of amateur and professional ensembles in Europe and Australasia with wide critical acclaim. In the UK Peter’s current conducting posts comprise Aylesbury Choral Society, Collegium Singers, Harmonia Sacra, Cappella Fede and Wells Tallis Voices, with past permanent or guest directorships having included Bristol Bach Choir, City of Oxford Choir, Cathedral Singers of Christ Church Oxford, Esterhazy Chamber Choir, Royal Scottish National Orchestra Chorus, Chandos Chamber Choir (London), Yeovil Chamber Choir, St Hugh Singers, Wyncantores, Bristol Philharmonic Orchestra, Frideswide Ensemble, Canzona, Stowe Opera Orchestra and Chameleon Arts Orchestra. 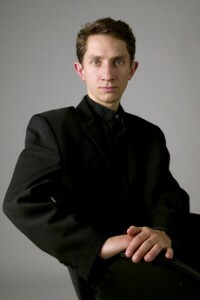 In recent years he has also conducted Coro Euridice (Bologna), the Coro di Teatro Comunale (Bologna), City Chamber Orchestra of Hong Kong, The Song Company (Sydney), Ensemble Eszterhaza (Melbourne), The Tudor Choristers (Melbourne), New Holland Baroque (Adelaide), Tasmanian Symphony Orchestra (Hobart), Melbourne Youth Orchestra and Geminiani Chamber Orchestra (Melbourne). Peter has also led choral workshops with Harpenden Choral Society, Cheltenham Choral Society, Daventry Choral Society and Cantemus Chamber Choir (Wales), amongst many others, and with the majority of UK Early Music Fora. In 2008 Peter was appointed Chairman of the South West Early Music Forum and awarded an Honorary Research Fellowship in the School of Arts and Humanities at Swansea University. He is a regular contributor to Early Music (Oxford University Press) and has written for other scholarly journals such as Eighteenth-Century Music (Cambridge University Press) and Archivum Historicum Societatis Iesu (Rome). Peter’s critical edition (Edition HH, 2008) of recently rediscovered keyboard music attributed to the Jesuit composer Antoine Selosse (1621-87) has been recorded on the Deux Elles CD label by Terence Charlston.